On December 8, 1980 Mark David Chapman shocked the world by murdering the beloved purveyor of peace, 40-year old musician and activist, John Lennon, outside The Dakota, his New York apartment building. Chapman's motives were fabricated from pure delusion, fueled by an obsession with the fictional character Holden Caulfield and his similar misadventures in J.D. Salinger's "Catcher in the Rye." In one instant, an anonymous, mentally unstable 25-year old, socially awkward Beatles fan who had fluctuated between idealizing Lennon and being overcome with a desire to kill him – altered the course of history. Jared Leto, 60 pounds heavier for the role, bears an uncanny physical resemblance to the real Chapman, who to this day, is incarcerated in Attica Prison, on a guilty plea. Aside from a Larry King interview in 1992, he has not spoken with the media. However, Chapman did reveal the mechanics of his unraveling during those three fateful days in New York City, to crime journalist Jack Jones. 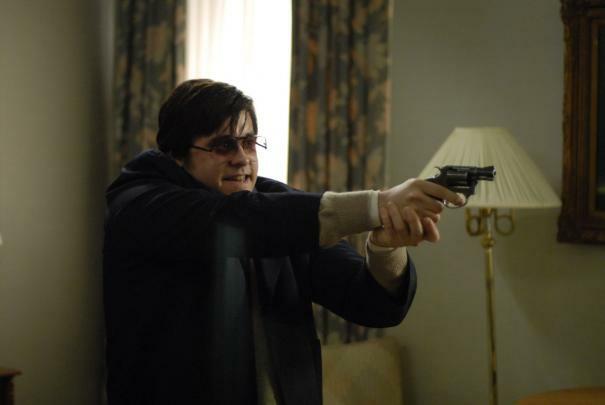 The interviews were published in 1992 as "Let Me Take You Down: Inside the Mind of Mark David Chapman," a book of Chapman's recollections of his unthinkable act of violence. From this text, the film "Chapter 27" is based. The film takes its title from the idea that through his actions in New York, Chapman was attempting to "write" his own additional, 27th chapter to "Catcher in the Rye" (which ends with chapter 26). Leto's embodiment of a man whose painfully restless mind thrashes about uncontrollably between paranoia, socio-pathic lying and delusion is summed up in such character revealing comments as "I’m too vulnerable for a world full of pain and lies" and "Everyone is cracked and broken. You have to find something to fix you. To give you what you need. To make you whole again." From his lies to cab drivers (identifying himself as the Beatles sound engineer) to his socially unacceptable behavior around Jude (Lindsay Lohan) a young fan he meets outside the Dakota -- to his argument with paparazzi photographer Paul (Judah Friedlander), Leto's Chapman keeps the psychoses bubbling below the surface as his grasp on reality deteriorates into a completely misguided rage.